The Beast is rocking with some awesome NC bands tonight at Motorco Music Hall in Durham: Megafaun, The Old Ceremony, Sacrificial Poets and Midtown Dickens just to name a f(ph)ew. 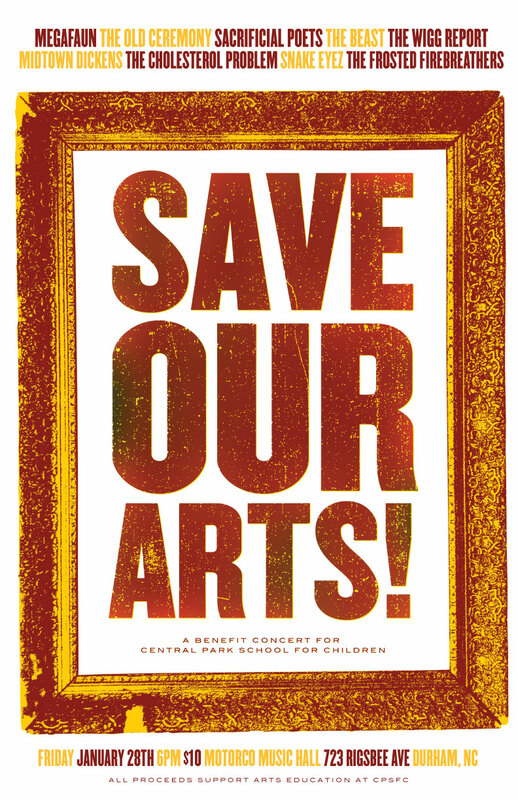 All proceeds from the concert support arts education at the Durham Central Park School. Can you dig it?